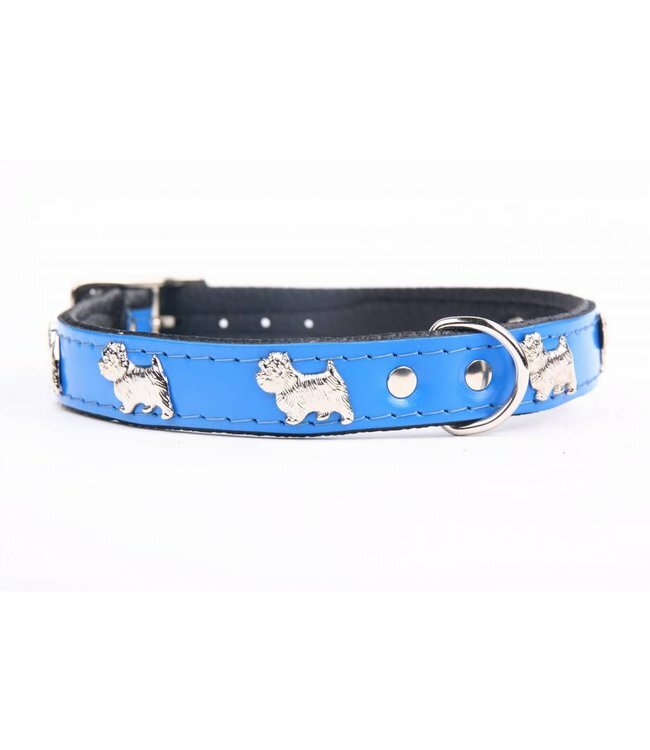 Highest quality handmade leather dog collar with Westie. Made of soft Italian nappa leather. Available in 6 colors. Highest quality handmade leather dog collars. Made of Italian nappa leather. Available in various colors and sizes. Combine with a leather dog leash. These dog collars are characterized by their very beautiful finish! Because the collars are made by hand, we only have a limited quantity in stock. If the item is not available from stock, it can be ordered with a delivery time of 28 days. Take a smooth tape measure, measure the circumference of your dog's neck. At this length you can count up to 5 cm. This is the collar size. The collar is adjustable through the holes. The beginning of the tip of the buckle to the last hole is the maximum adjustable length. The collar is stitched flat. This type of collar may be combined with this type of dog leash. The used nappa leather is leather of the best quality. Every skin is checked and selected manually. In this way you are guaranteed the best quality leather. Nappaleer has already had an oil treatment for water repellency. 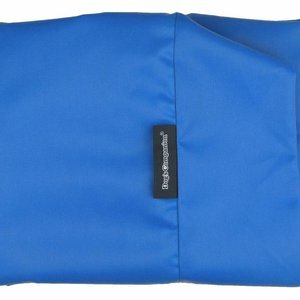 Nappaleer is naturally already extremely stretchable, making it much less quick drying and bursting than other types of leather. We recommend that you maintain this product with a leather oil or leather cream. Dog's Companion stands for quality, exclusive design and innovation. 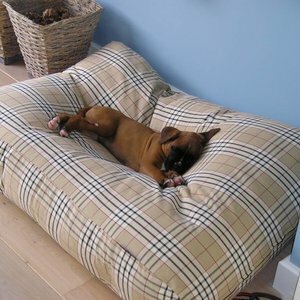 All Dog's Companion products are handmade, working under strict quality standards. The main point of view in developing their products is the satisfaction of customers and the well-being of their animals. For example, the smallest details make sure that the wearing comfort for the dog is very high and that the coat is optimally protected. A lot of energy is being put into the development of products that perfectly meet Dog's Companion's quality requirements and to the wishes of the customers. Creativity and customer focus are important business activities on a daily basis. In addition, in addition to excellent quality, attention is also paid to combining quality with a nice design, great functionality, optimal safety and durability. Correspond à l'image sur votre site. Beautiful, quality handmade dog collars! Just ordered two more! Thank you for making such a beautiful product!